If there were a nutritional label for Mt. Adams, it might read 20 percent residential, 20 percent bars and restaurants, 20 percent parks and 40 percent arts. The arts are a giant part of Mt. Adams' appeal, as well as its physical real estate. The Cincinnati Art Museum, founded in 1881, is one of the oldest art museums in the country, and boasts a collection of more than 60,000 works - one of the most comprehensive collections in the Midwest. General admission to the museum is now free, thanks to a gift from The Lois and Richard Rosenthal Foundation. 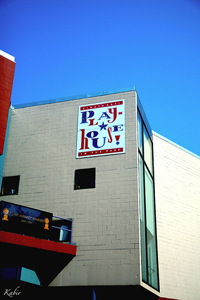 The museum also hosts frequent special events and concerts, as well as film screenings by Cincinnati World Cinema in its lower-level theatre. For dramatic theatre, Mt Adams also boasts Playhouse in the Park, which was founded in 1959 and has maintained an excellent regional and national reputation. It won a Tony Awards in 2004 for Best Regional Theatre and another in 2007 for its acclaimed revival of Company. The Playhouse contains two theatres, the larger Robert S. Marx Theatre and the smaller Thompson Shelterhouse. In addition to a full 10-month season of plays, Playhouse in the Park also offers acting classes and other programs for children. If Eden Park is the closest Cincinnatians can come to the Garden of Eden, it’s not a bad approximation. 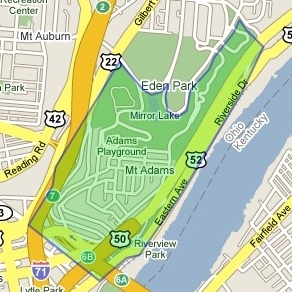 Eden Park is one of the city’s premier parks, not just because of its recreation and fun opportunities but also for its arts offerings: it is home to Playhouse in the Park, Cincinnati Art Museum, Krohn Conservatory and Seasongood Pavilion. The park contains four overlooks giving amazing views of Cincinnati and Northern Kentucky. There is a duck pond as well as Mirror lake, a man-made pond with a painted floor and a fountain that shoots water 60 feet into the air. There are walking trails, multiple gardens and picnic areas and bandstands with occasional concerts. Seasongood Pavilion, a large amphitheater with frequent free concerts during the summer, is a main attraction. One must also make a point to visit Eden Park in springtime for an exhibit of flowering trees and over 50,000 daffodils. Local businesses and organizations are key to the quality of life in every community. 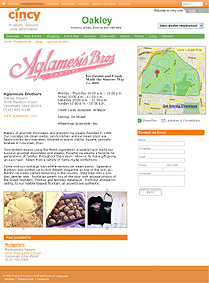 We'd like to include your story and link it in relevant pages throughout the web site.